Bolivia is one of only two landlocked countries in South America. Being the second poorest country in the western hemisphere, the life expectancy is only 65 years and 7 percent of children die before their first birthday. 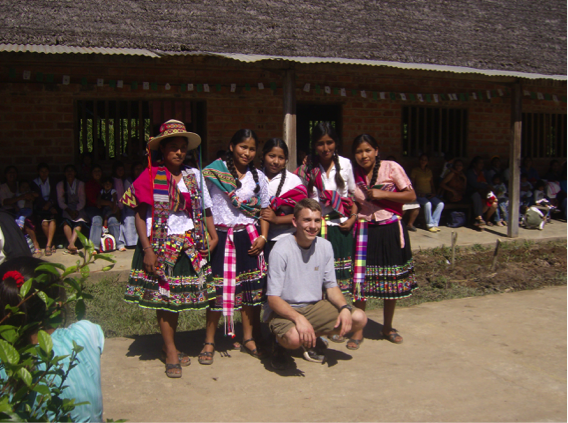 The village of Rio Colorado is located in the Bolivian rainforest northeast of La Paz, Bolivia’s capital. The school is a hybrid school, being part high school, part agricultural school. 250 students live on campus Sunday through Thursday, and travel up to 60 miles in every direction home on the weekends. The school uses three hand-dug wells for their drinking and cleaning water. The wells are molded and bacteria filled, causing cases of skin disease and other heath issues. Also, the school does not have a sanitary water distribution system, which is necessary for cleaning and showering. 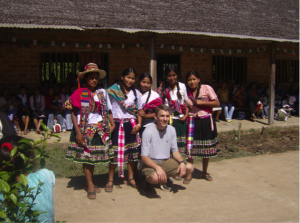 Three students, one professor, and one professional went to Rio Colorado in August 2006. The trip outlined three major issues, addressed by the school and EWB-Missouri S&T. The first issue is finding an alternative power source to replace a diesel generator, which provided electricity for only three hours a day. The second was to drill a new well and redesign the water distribution system. This new distribution will provide the shower facilities that UMR-Missouri S&T is designing and constructing. The last issue that UMR-Missouri S&T addressed was to improve the level of education by providing reference books, lab supplies, and a satellite internet connection. 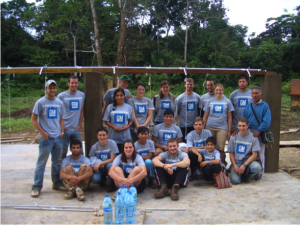 In the summer of 2007, a team of 21 students returned to Rio Colorado to implement some of the engineering solutions upon which they had been working. They replaced the three shallow wells that were uncovered and filled with bacteria with a new, deeper one. 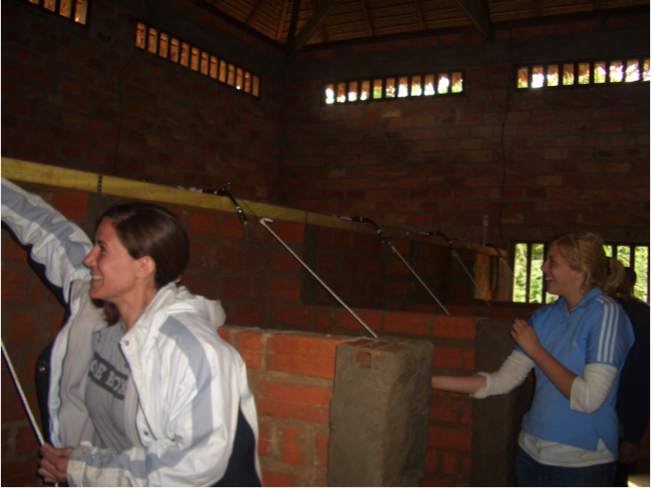 Not only does the new well provide more water, but it is much cleaner. With a new water distribution system in place, the team constructed two new shower facilities for the school, one for the girls and one for the boys. The team conducted an assessment and comparison of the school’s energy usage against what the generators could provide. A weather station was installed to perform readings which will be used to determine alternative energy possibilities. In addition to the valuable research data it provides, the team also helped the school adapt their curriculum so that the weather station could be used to teach the students. The environmental team went out into the community to give health surveys and test their water. The students at the school helped perform the tests in the new labs constructed by the team. 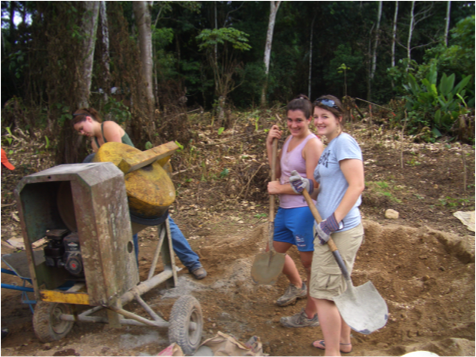 In May 2008, EWB-Missouri S&T returned with 22 students and 3 professionals split into five groups: energy, water distribution, water purification, culverts, and latrines. The energy team rewired the hazardous electrical system throughout the school creating a safer environment for the students. They also provided a more efficient generator allowing the school to produce more electricity for the students to study at night. The water distribution team installed several valves to make the water system more efficient. These improvements allow access to repair pipes without a system shutdown. The water purification team traveled throughout the neighboring communities and school and educated locals on simple and easy ways to purify their water in order to prevent the spread of disease. The latrines team built a five stall latrine in the boy’s dorm at the school. This helps control the waste contaminating the water supply. Finally, the culvert team built culverts to replace two rotted bridges. Without these culverts the school was almost inaccessible to vehicles and people during the six month rainy season.